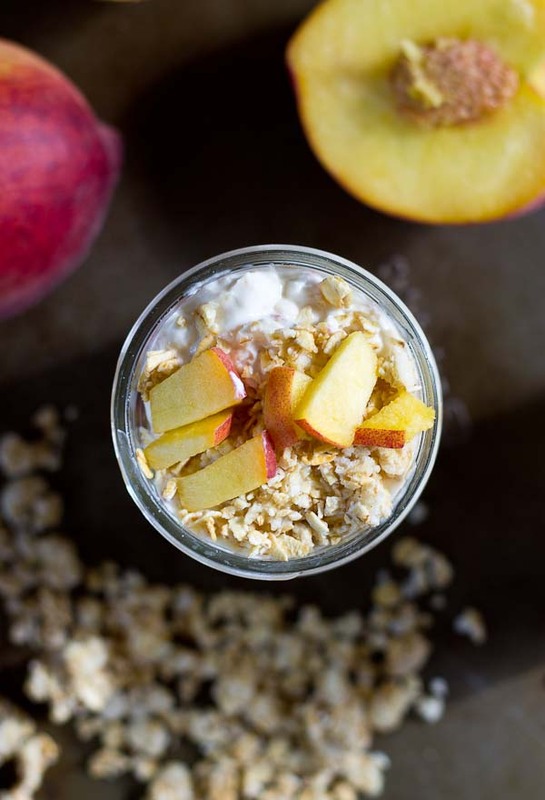 Eric and I landed in DC this morning and I wanted to pop into share a quick breakfast recipe that I’ve been enjoying all week. 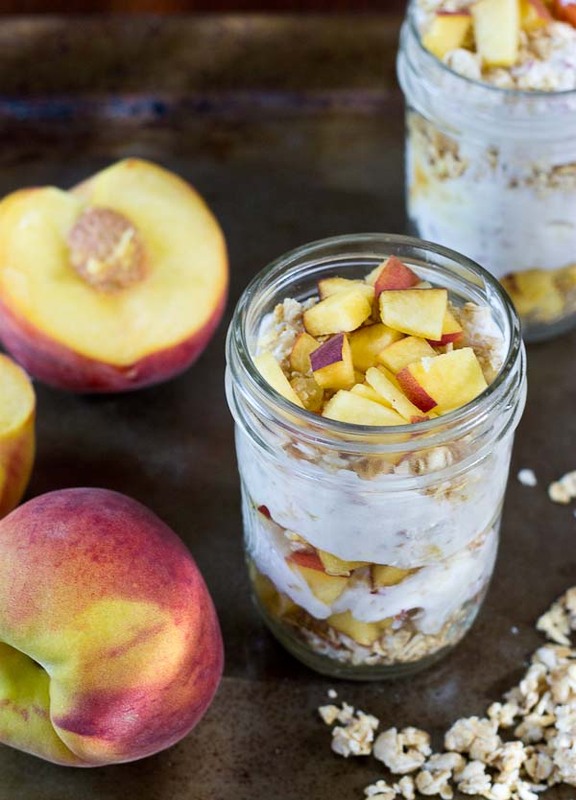 I meal prepped these Peach Parfaits on the weekend and they have made the most tasty, seasonal on the go breakfast. I’m thinking these may become a staple for me or at least a variety of them anyways, and as the seasons change I’ll toss in different fruit to mix it up with whatever produce is in season. Mental note, these would be a convenient treat to fuel myself for breastfeeding, at least in those early months when I’m guessing I’ll be running low on sleep. So tomorrow marks 28 weeks prego.. that’s 7 months people. How does that happen???? And I’m starting to have a minor freakout. As the bump continues to grow and my feet are now aching, pregnancy has begun to feel super real. It’s almost baby time. We are continuing to nest and get the room ready, but have had some minor delays because we have CONCRETE walls in our new place which makes it almost impossible to drill into, so I feel like the room is a wreck at this point, but I can see it coming together. Yes, I know I’m rambling… or should we call it baby babbling? I’m almost 100% finished with my registries and we are gearing up for baby showers next month! AH! Trying my best to savor the last couple months of this pregnancy thing… although I’m anticipating the cooler temps that the fall will bring. 100 degree weather takes a toll on this pregnant body. This month I’m teaming up with the Recipe Redux with a seasonal produce theme. Since I’m currently eating. all. the. peaches. I made this recipe to share with you all and hope you enjoy it too! that recipe looks amazing. I have recently lost about 30 pounds and am managing to keep it off. I’m always looking for new healthy recipes. Any idea of how many calories are in the parfaits?? Hey Robeta– I don’t have the calorie info but if you plug the URL into MyFitnessPal recipe analyzer it will compute the info. Yay for a low sugar parfait! This looks like such a wonderful breakfast. A simply delicious combo! Loving juicy peaches but they’re few and far between here right now. Sending positive vibes for the last couple months of your pregnancy! 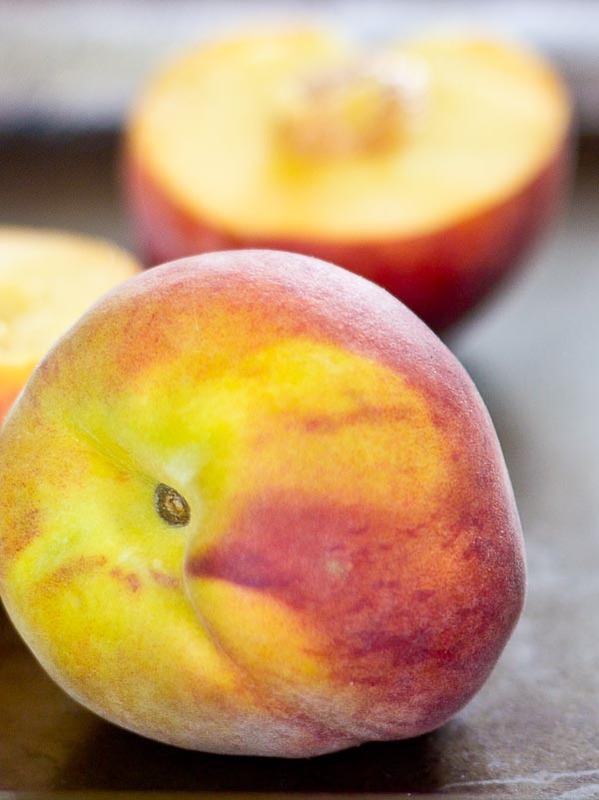 Peaches are one of my favorite fruits. 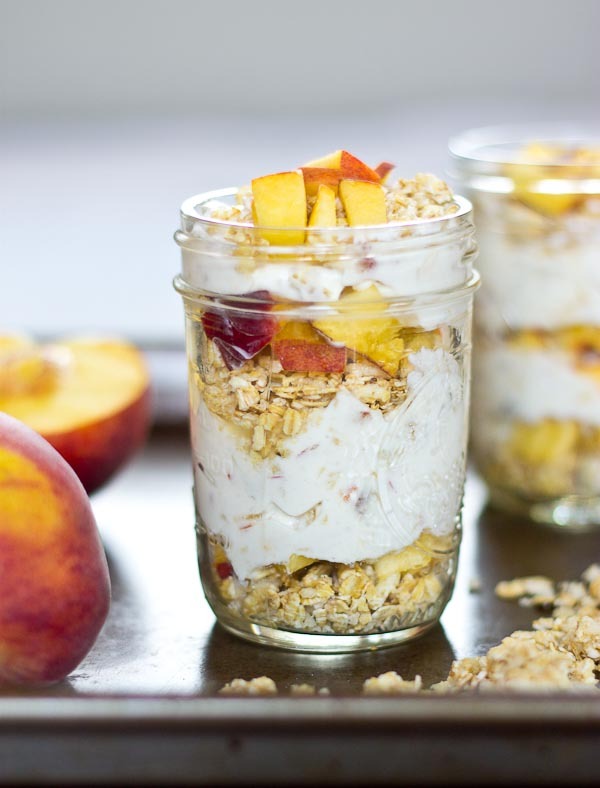 These look perfect for breakfast or snacks! Or even dessert! 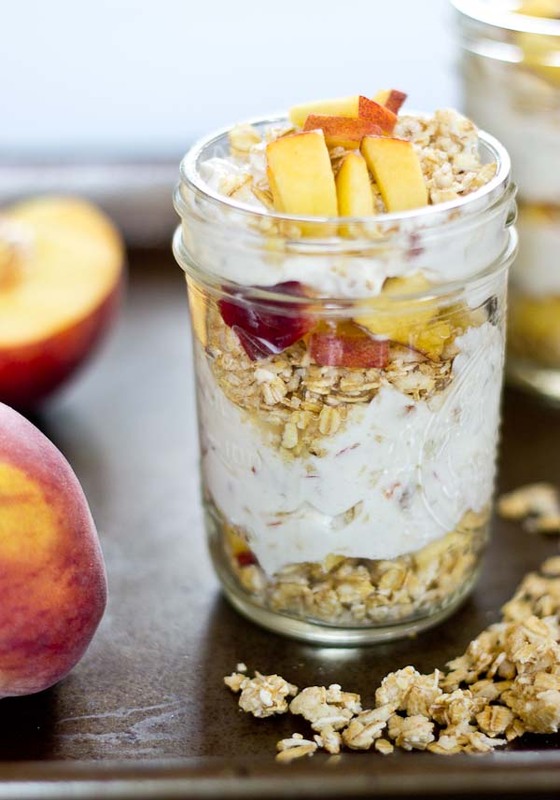 These are so perfect for make ahead portable breakfasts! And I love your idea of changing the fruit according to what’s in season! These can truly be enjoyed all year long which means they’ll definitely be a go-to option! These look absolutely perfect for summer! 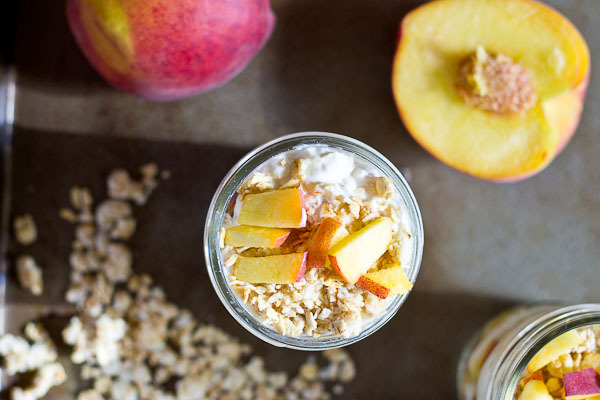 Nothing like fresh peaches, and something cool and creamy to start off a hot and humid day!